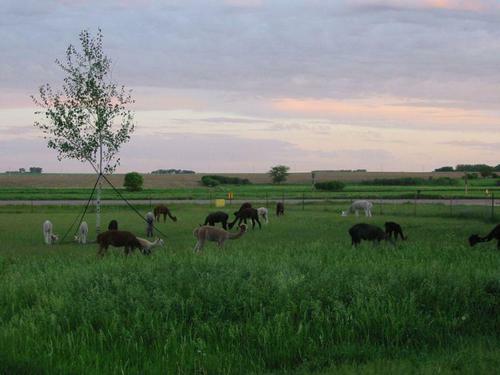 We started with 4 fiber males in July of 2006 to see how we would like owning alpacas. 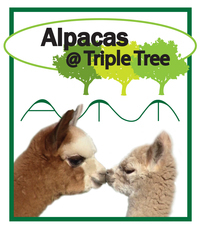 Well, it only took 2 months to decide that it was the perfect use for our acreage and the perfect opportunity to enjoy breeding and raising alpacas!! 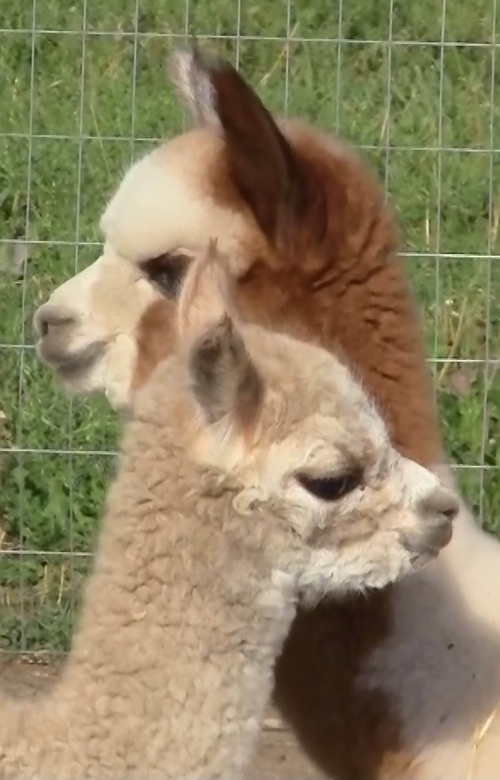 We bought our first 2 females in September of 2006 and have enjoyed learning about alpacas and growing and improving our herd consistently. In 2009 we started showing our offspring and have learned much at the shows. 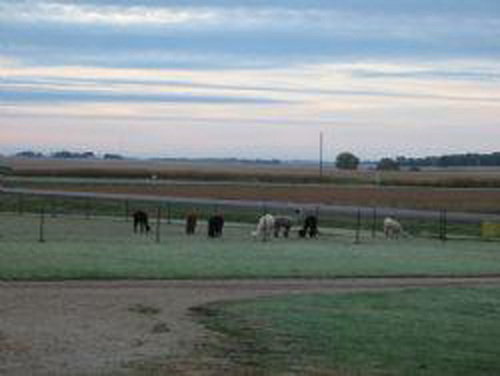 We have been asked by other farms "what do you specialize in, Blacks, Greys, Accoyos, etc." We are never sure how to answer because we like having a variety although we do stick with Huacaya and so far mostly Peruvian. We are both animal lovers so the ability to have a livestock farm with the comfort of knowing that the animals that we produce will live their natural lives producing fleece and crias was especially appealing to us. To raise high quality animals. To provide great homes for great animals. To provide information on the history of our animals and their pedigree. I would say that we try to be a "Green" farm. Even though we are a small farm, we make extra efforts to be efficient. We do most of the chores by hand and even milk a few dairy goats by hand. When looking for a domain provider for our website, I was happy to find one that is 100% powered by wind energy. 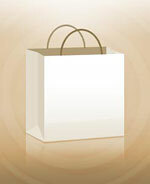 We also selected a .us domain because only US citizens can get them unlike the .com that could be anywhere in the world. Also any comments or suggestions to improve the site would be appreciated.